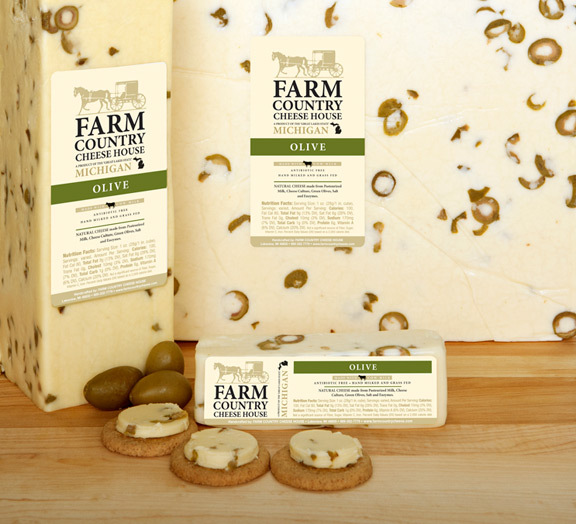 The salty green olive is a wonderful contrast to our creamy Jack cheese. 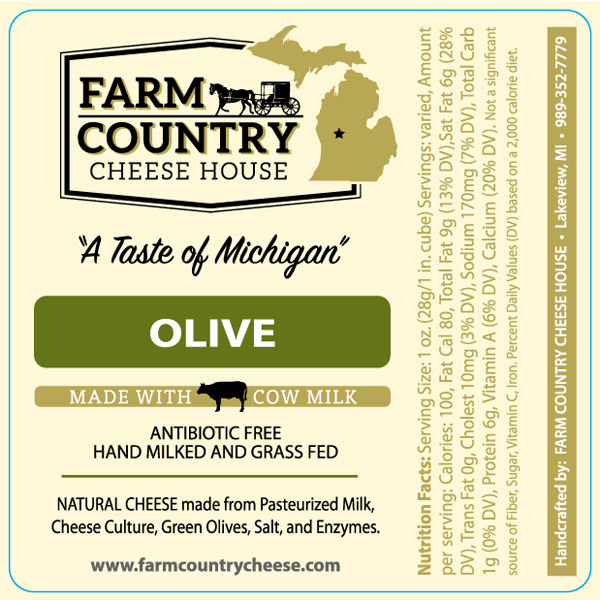 Together you experience the slight bite of olive against the rich buttery smoothness of Michigan Jack. A true delight with rustic breads or any Mediterranean cuisine—and we are glad we’ve found a way to keep our olives in place on a burger!